CAMP, based in Kansas City, Mo., entered its 15th year of publication with its February 2018 issue. FENUXE, based in Atlanta, entered its ninth year of publication with its January 12, 2018, issue. GOLIATH ATLANTA entered its fourth year of publication with its February 2018 issue. THE FIGHT, based in Los Angeles, celebrated its seventh anniversary with its February 2018 issue. LETTERS FROM CAMP REHOBOTH, based in Rehoboth Beach, Del., entered its 28th year of publication with its January 26, 2018, issue. THE MIRROR, based in Wilton Manors, Fla., entered its seventh year of publication with its January 2018 issue. OUT IN JERSEY, based in Trenton, N.J., entered its 23rd year of publication with its February/March 2018 issue. OUTSMART MAGAZINE, based in Houston, entered its 25th year of publication with its February 2018 issue. 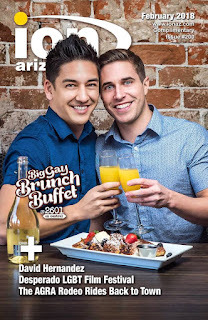 SOUTH FLORIDA GAY NEWS, also known as SFGN and based in Wilton Manors, Fla., celebrated its eighth anniversary in its January 24, 2018, issue. BOB SMITH, author and standup comic, passed away on January 20, 2018, after living with ALS for 11 years. 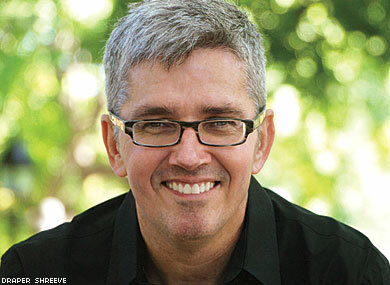 He was the first out gay standup comic to have his own HBO special and to appear on “The Tonight Show.” He was 59. TAGG, based in Washington, D.C., entered its seventh year of publication with its January/February 2018 issue. THE WASHINGTON BLADE and the DC Brau Brewing Company have teamed up again on a specially branded can of Brau Pils for this summer’s Pride celebration. Readers were invited to submit their original designs for consideration to the Blade for a limited-edition “Pride Pils” can. Proceeds from the sale of the special cans will benefit SMYAL and the Washington Blade Foundation. Many, but not all, LGBT publications have embraced the term “queer” and added the “Q” in “LGBTQ” when describing the community in their news coverage. In an August 2017 editorial, OutSmart Magazine in Houston explained its use of the new terminology. “The ‘Q’ stands for ‘queer’ or ‘questioning,’ and the change reflects our effort to be more inclusive of the entire community,” wrote editor John Wright. As Wright points out, according to Community Marketing’s 11th annual LGBTQ Survey released in July of last year, 24 percent of millennials now identify as “queer,” as do 37 percent of “gender expansive” people. The survey also found that “LGBTQ” is now preferred over “LGBT” among millennials, and that, for the first time, the expanded abbreviation has an approval rating among baby boomers of more than 50 percent. “Indeed, even some mainstream publications, including the Los Angeles Times, have switched from ‘LGBT’ to ‘LGBTQ,'” Wright noted. Masters said the use of “LGBTQ” is a reflection of changing times. “We use ‘LGBTQ,’ and we will use ‘queer' when subjects identify that way,” noted Kevin Naff, editor of the Washington Blade. Some publications choose not to use LGBTQ in their reporting. Nash cited another reason for the publication’s decision. The Los Angeles Blade plans to expand its coverage by publishing a weekly print edition, just one year after its biweekly debut. The publication covers Los Angeles and California mixed with national and international coverage from the reporting team of its sister newspaper, the Washington Blade. 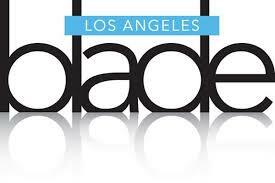 In addition to the expansion, the Los Angeles Blade announced it has hired media veteran Michael Jortner as its new advertising and marketing director. Jortner served as principal of WeHo Digital, a digital marketing agency serving small businesses in the area. Jortner is certified in digital marketing solutions by Gannett and MarketMotive. 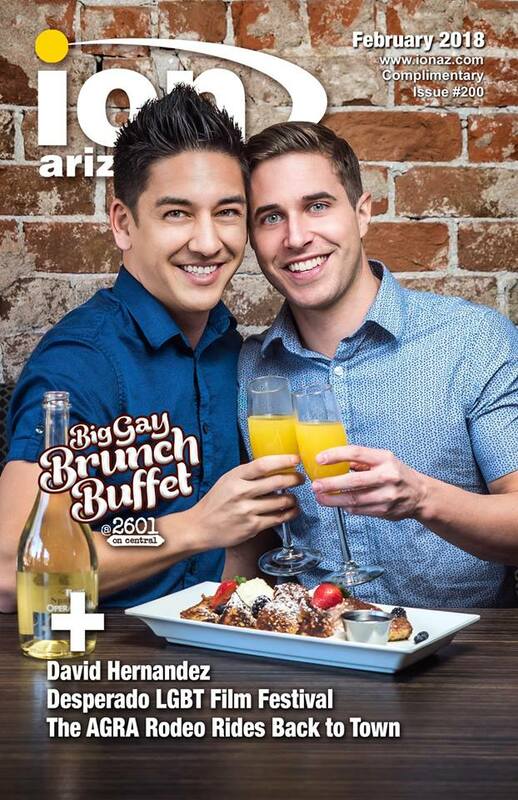 The first weekly edition of 20,000 copies will debut May 4 at L.A. area bars, restaurants, gyms and other locations popular with area LGBT residents. The Los Angeles Blade and the Washington Blade are published by Brown Naff Pitts Omnimedia. The Washington Blade is the only LGBT media member of the White House press corps. A new exhibition will highlight the history and diversity of LGBT and queer publications produced in Northern California from the 1940s through the 2000s. "Empowerment in Print: LGBTQ Activism, Pride and Lust " draws on the collection of more than 5,000 periodical titles preserved in the archives of the San Francisco-based GLBT Historical Society. "From sober to sleek, from coy to explicit, from apolitical to militant, these publications demonstrate some of the myriad ways LGBTQ people have found empowerment in print," according to co-curators Joanna Black and Jeremy Prince. "The exhibition celebrates the important role San Francisco and our wider region have played in the creation of queer periodicals." The exhibit starts with scarce private newsletters from the 1940s, when homosexuality was the object of legal and social persecution. It also displays pioneering American homophile movement journals from the 1950s, noting that the U.S. Supreme Court overtuned the ban on mailing periodicals defending homosexual people 60 years ago this year. The show then offers a selection of the periodicals that emerged as the movement grew in size and force and as commercial publications reached paying subscribers in the 1960s and 1970s. The periodicals on display also suggest the array of issues represented in publications from the 1980s into the 2000s and some of the ways that zine-makers have created alternatives to mainstream LGBT publications. The exhibition includes periodicals from the Northern California cities including Albany, Berkeley, Fremont, Oakland, San Francisco, Santa Cruz and Union City. "Empowerment in Print" runs through May 21, 2018, at the GLBT History Museum, 4127 18th St., San Francisco. For more information, visit www.glbthistory.org.